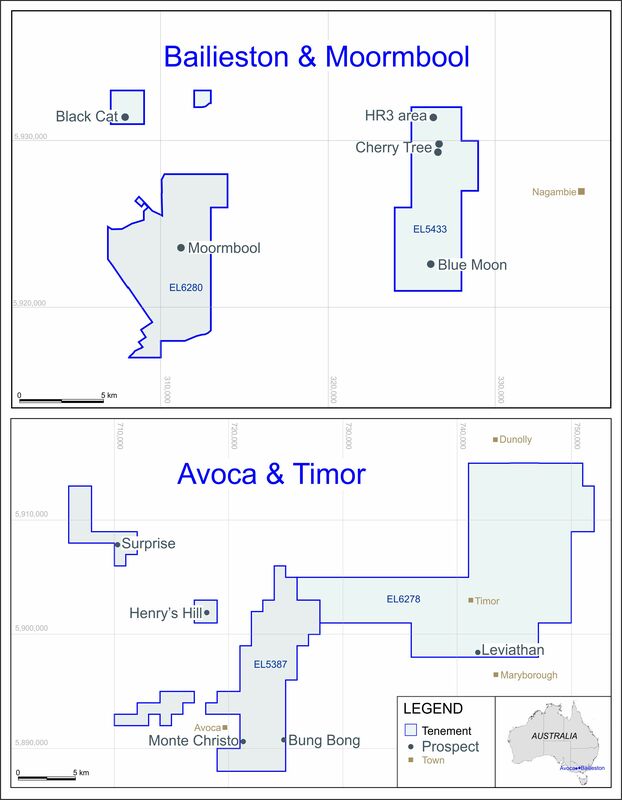 LONDON: 8 SEPTEMBER 2005 - Mercator Gold Plc (AIM, MCR & MCRW) as operator of the Annean Joint Venture (“Annean JV”) near Meekatharra, Western Australia, announces a significant increase in indicated and inferred gold resources . Exploration drilling at Bluebird and Surprise within the Yaloginda mine area of the Annean JV has established indicated and inferred gold resources of 467,000 ounces. More than half of these resources are at a grade of 4.5g/t Au and all are within 1.5 km of the Bluebird Mill. The additional gold resources, calculated by Mercator’s independent resource consultants, lift the total indicated and inferred gold resources in the Annean JV Area to 690,100 ounces. Management is highly encouraged by the results and, having expended A$3 million (£1,260,000) on exploration, has notified the joint venture partner St Barbara Mines Ltd that it has now earned a 45% interest and will proceed to Stage 3 of the Joint Venture by spending an additional A$1 million on exploration to secure a 51% interest. The Company is on track to achieve the 51% interest in calendar 2005, well ahead of the March 2007 target date. The Bluebird global resource is 326,000 ounces comprising 5,280,000 tonnes @ 1.9 g/t, within which are indicated and inferred high grade resources of 1,698,000 tonnes @ 4.5 g/t for 244,000 ounces. The Bluebird resource is from surface. The Surprise resource is 141,000 ounces comprising indicated resources of 1,220,000 tonnes @ 0.9 g/t and inferred resources of 2,965,000 tonnes @ 1 g/t. The Surprise resource is from surface. The new resources bring the Annean joint venture to a total of indicated plus inferred resources of 690,100 ounces gold. Significant potential exists to increase the resource at Bluebird north and south of the current resource and at depth, and to increase the grade at Surprise with infill drilling of high-grade shoots that produced intercepts such as 15m @ 45.1 g/t and 6m @ 36 g/t.